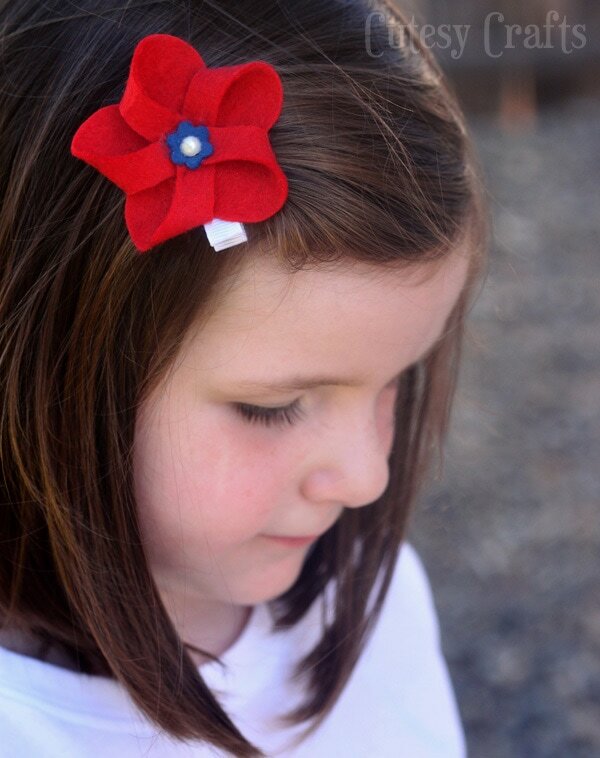 I wanted to make some 4th of July hair bows for the girls, so I came up with these felt pinwheel clips for them to wear. 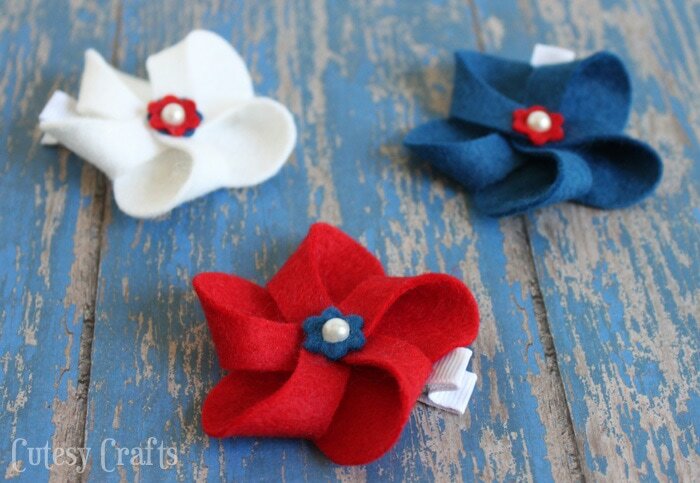 They were really easy to make and oh so cute! Make sure to keep reading because I have a really great giveaway for you today too! 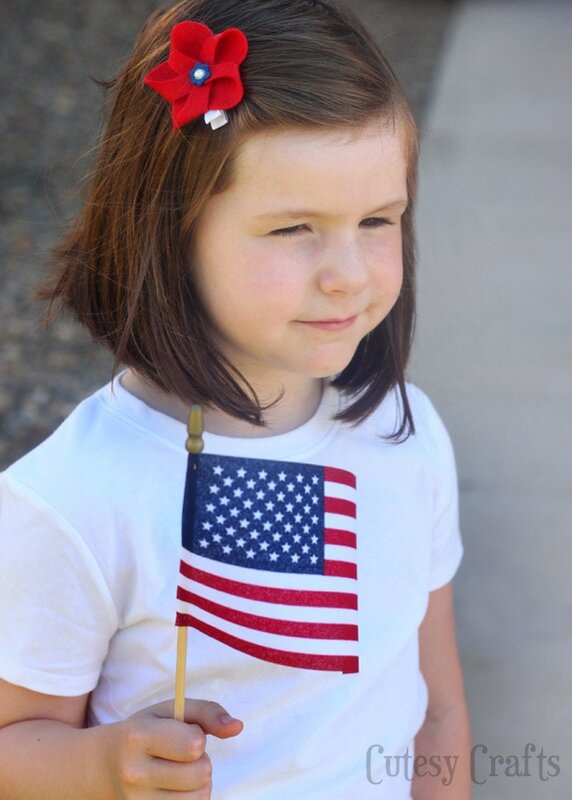 The girls are going to look so cute on 4th of July! 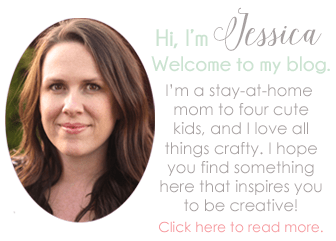 This is my monthly post as part of We R Memory Keepers‘ Lifestyle Studios Teams. I was given free products to use, but as always, all opinions are my own. You can use promo code CUTESY to get 20% off anything at shopwer.com. 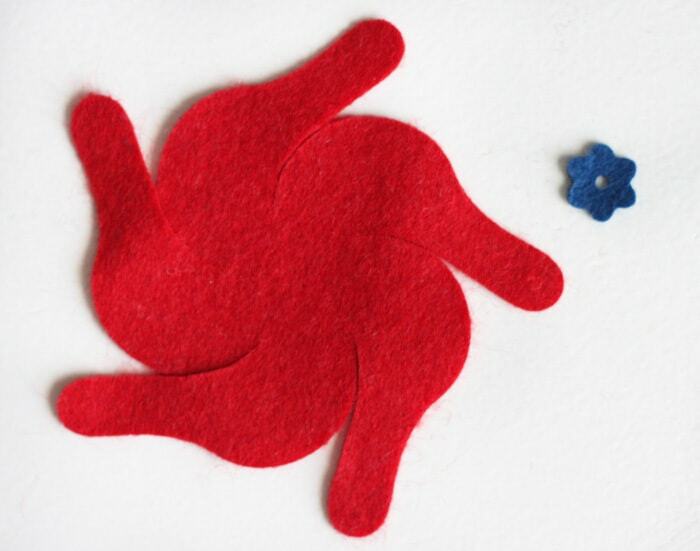 Put the cutting mat on top and run the platform through your die cutting machine back and forth to get a good cut through the felt. Cut out different colors for the different parts. 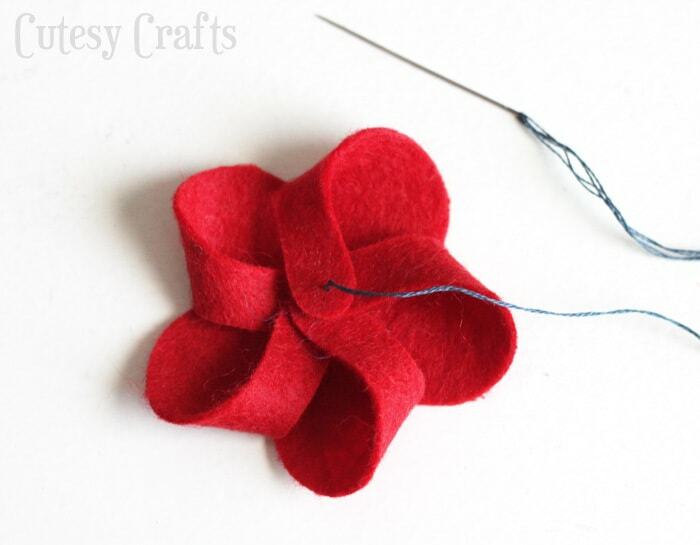 Fold your felt into the pinwheel shape and stitch or glue it together. Stitch or glue the top piece on. Hot glue a button or bead onto the middle. I used a half pearl scrapbooking embellishment. Hot glue ribbon around a metal alligator clip, glue the pinwheel to the top, and you’re done. Make a different color for everyone! AND… it’s giveaway time!!! 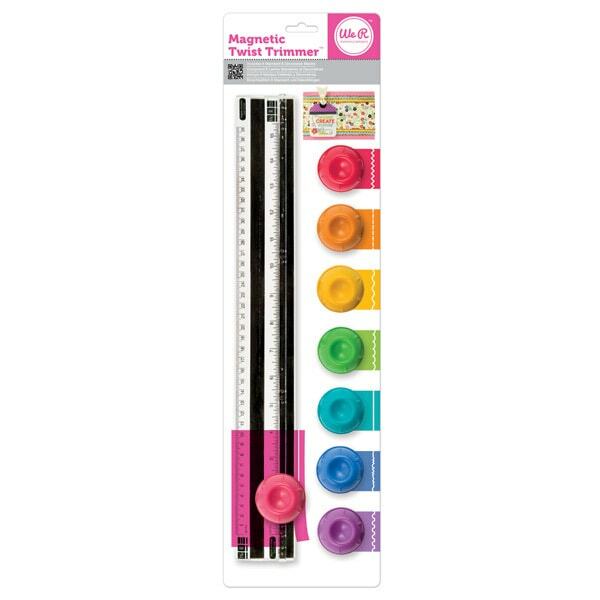 I’m giving away this nifty little crafting tool from We R Memory Keepers called a Twist Trimmer. 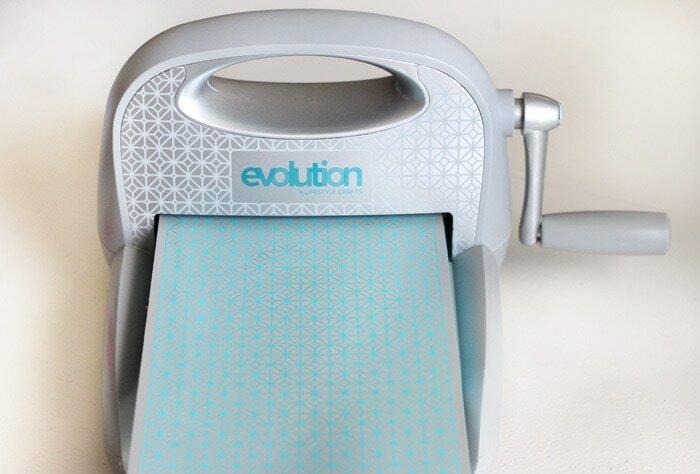 It comes with 8 blades that allow you to score, perforate, or cut cute borders on paper. I think I’m going to get one for myself! To enter, just use the Rafflecopter widget below. It might take a minute to load. If you are reading this in an email, you will have to click through to enter. US residents only. Must be 18 years or older to enter. Void where prohibited by law. What if you don’t have the machine and die? Can you still make these? 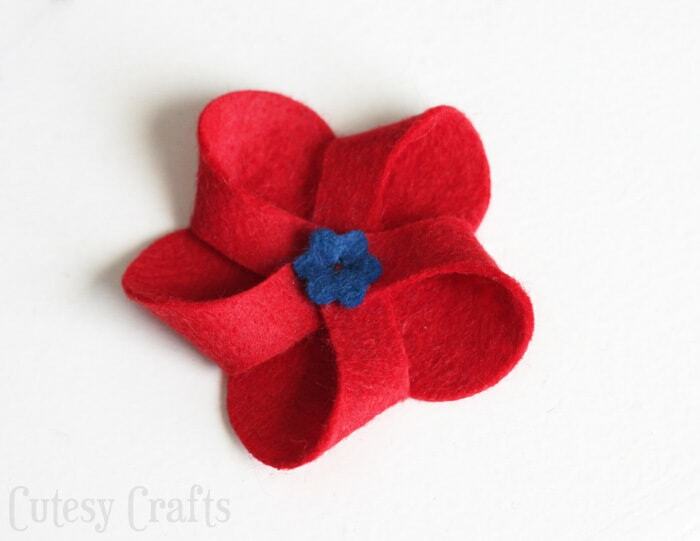 You can, but you’d have to find a different pinwheel pattern or create your own. Oh man, those hair ties are just so cute!! Thanks, I’m a sucker for cute hair clippies! Wish there was an entry means for regular folks—I do not do facebook, pinterest or instagram. You’re right, I didn’t think of that. I’ll be sure to include an entry that doesn’t involve social media next time. 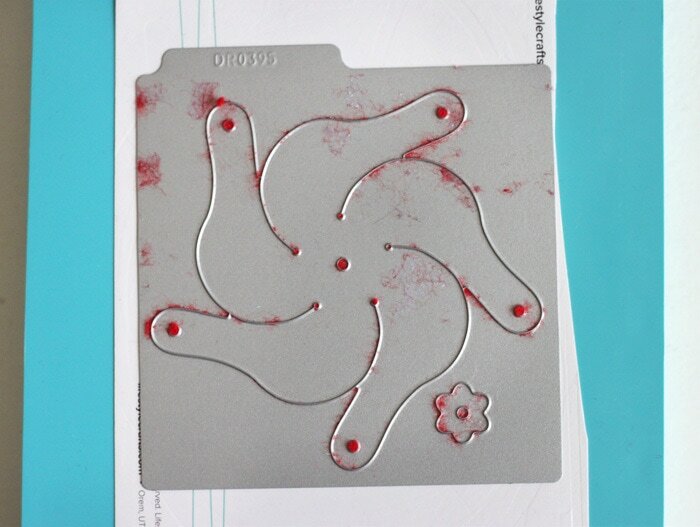 I don’t have that die cutting machine, so would you be able to trace the pattern and put it on your blog so we could download it and cut it out by hand using the pattern. I guess I might be able to trace this myself if I put a paper on the screen and trace it. I would just have to get it to the right size. This clip looks so cute! Hi Kristi. 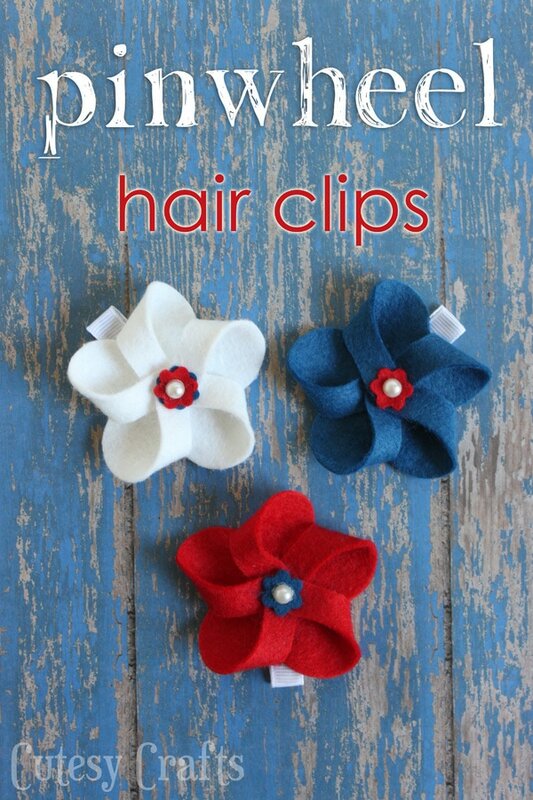 Glad you like the clips! Normally I would provide a pattern for a project, but this one is a promotion for the cutting dies from We R Memory Keepers. I receive free products to post about them, so they probably wouldn’t want me to make a pattern for their die. Maybe you can create something similar. That’s ok. I was nervous when I peeled the foam off my first die as well. It will still work for paper after, the foam just helps the paper pop back out after the shape is cut. Also, you can buy replacement ejection foam to re-foam your die later if you want. Search “replace ejection foam die” online and you will see what I mean. If you have extra felt, maybe try cutting it before peeling out the foam. Hope that helps! Thanks, I will try on scraps first, that is a good idea. Thanks for helping and sharing. You’re welcome! I hope you get it to work! i love these!! But I can’t find the die cut anywhere? Is it still being made? The dies go out of stock a lot and then come back in. It could be that they have discontinued it since then too, but I’m not sure. You might get lucky and find one in a google search or ebay. Hi- I have to say, I have been looking forever for the die. I will add that I cant even seem to get on the website linked. Can you post a picture of the die model and who made it so we can find one? 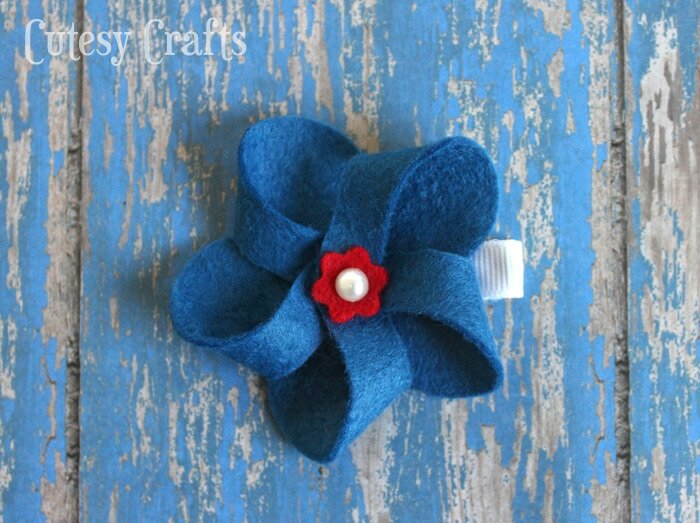 It’s made by Lifestyle Crafts who was purchased by We R Memory Keepers the last I heard. I think the die has been discontinued. 🙁 I was thinking of making a pattern for this. Would you be interested in that? Yes, Please make a pattern! We are in the middle of a move, and I can’t get to anything right now. :\ I will try to get it done by next 4th though. The die is called a Flower Pinwheel. Don’t know if that helps. What were the dimensions of the pinwheel pattern before folding?